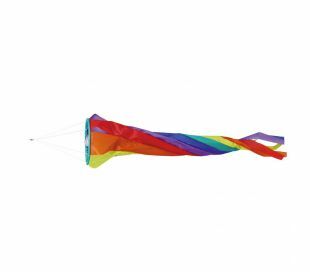 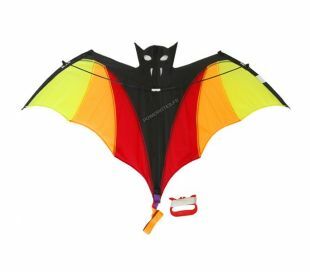 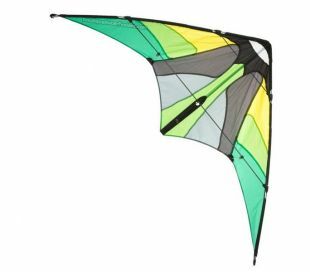 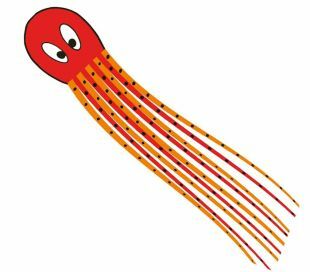 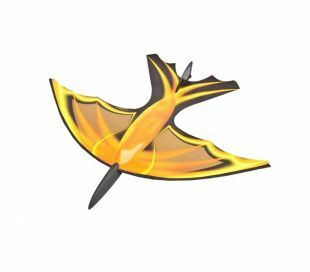 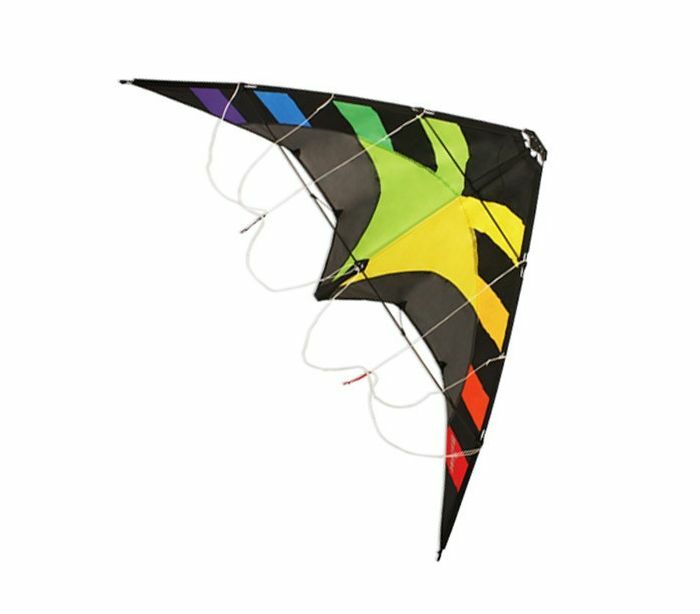 The Colours in Motion Spider is a dual line stunt kite for beginners. 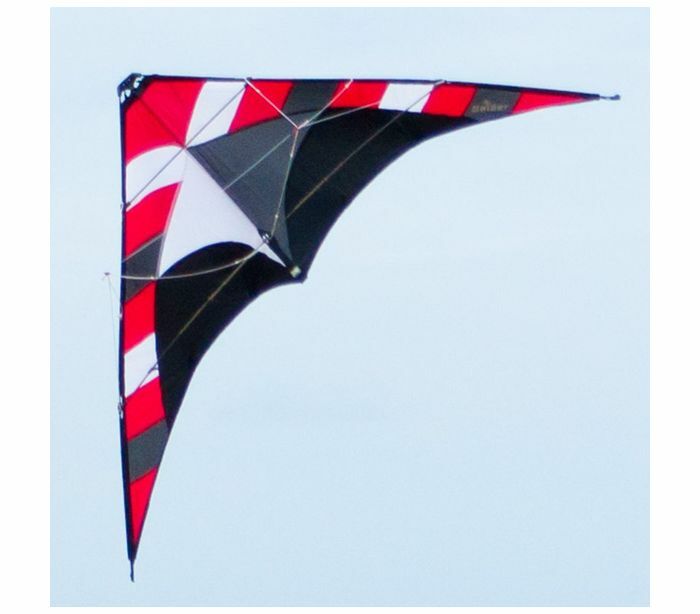 Its carbon frame offers a good stiffness and agilty in a wide wind range. 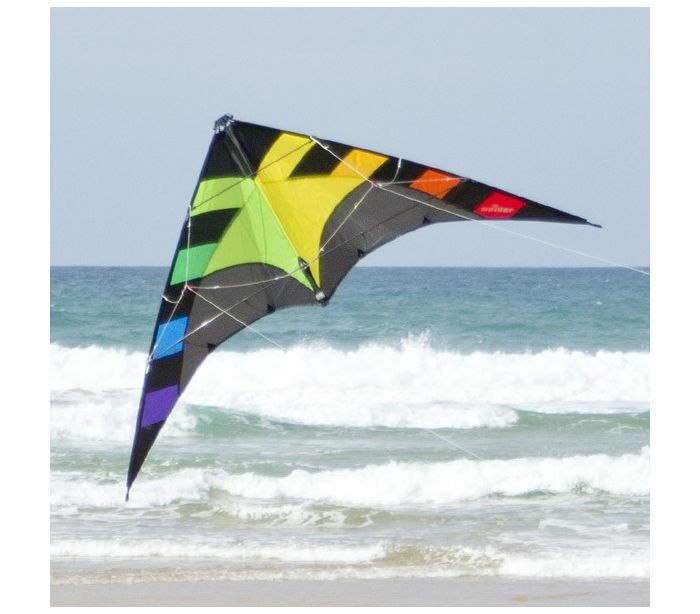 A very good first kite to learn in all kind of conditions. 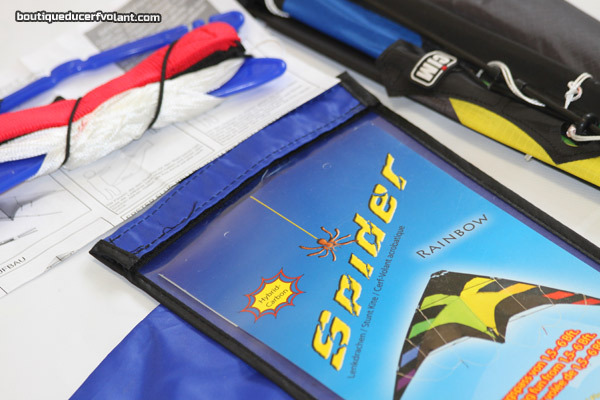 Ready to fly with lines, strap handles and manual.